Drawing the ire of the nation, the House of Representatives’ Justice Committee approved a bill amending the Juvenile Justice and Welfare Act of 2006 (JJWA) – which currently sets the minimum age of criminal liability (MACR) in the Philippines at 15 years old – to the very young age of nine (initially). Although the bill does not entail imprisonment for offenders “nine years of age and below fifteen years old”, it does mandate confinement for these child offenders but not in the same facilities are regular criminals. House Justice Committee chair Rep. Salvador Leachon (1st District – Oriental Mindoro) insists that the confinement of these children will focus on their rehabilitation, rather than their punishment. After a chorus of outrage from human rights groups, children’s welfare advocates and even an organization of pediatricians, the legislature buckled under pressure and amended the bill to instead set the minimum age to 12 years old. The provision of mandatory detention “for rehabilitation” is still intact, however. The raising of the minimum age begs curiosity, did they change it from nine years old believing the age was too young or because of the mass outrage that ensued from it? What made them decided nine years old in the first place, empirical evidence or a mere estimate? Whatever the case may be, are these lawmakers now certain that they have the correct age at 12 years old or will they again retract if there remains public dissent? The controversy about the lowering the MACR is even more laughable since the idea was proposed as early as 2016, the year President Rodrigo Duterte and his close friend and political ally – then-House Speaker Pantaleon Alvarez – suggested lowering the minimum age to nine years old. The latter and his colleague, Rep. Fredenil Castro (2nd District – Capiz), filed a bill amending the JJWA of 2006. UNICEF criticized the plan, citing it violated international law. 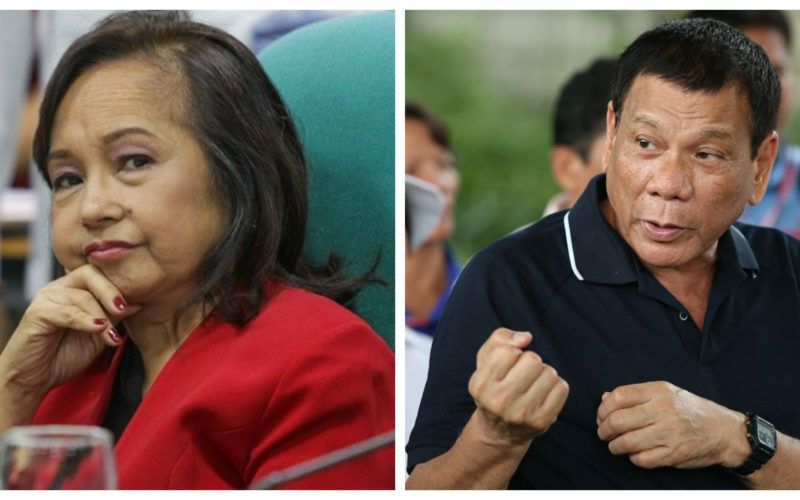 Neither Alvarez nor Castro amended their version of the bill, and the measure stagnated in Congress until the former was usurped from his role as House Speaker by Rep. Gloria Macapagal-Arroyo of Pampanga’s 2nd District. The former President now House Speaker also declared her support for the legislation, saying that it is “in line with the request of President Duterte”. What makes Arroyo’s support for lowering the MACR is that she signed the JJWA back in 2006, which set the MACR at 15 years old, as President. If she felt the MACR was correct at 15 years old back then, what changed since then? The consensus from psychologists states that lowering the age is wrong, as previously mentioned pediatricians are also opposed to it, and the Commission of Human Rights (CHR) is still opposed to lowering the MACR from 15 years old now as they have each time talks of lowering it arises – so what compelled these legislators to push for such an inane measure now? Many observers have noted the quick backtracking of lawmakers to amend the original proposed MACR from nine to 12 years old. This expeditious turnaround makes one wonder if the plan was always to set the MACR at 12 years old to begin with, and the initial proposal of nine years old was merely to create an uproar that would somewhat be remedied by then “increasing” it to 12 years old. Another hypothesis which stokes one’s suspicion is the timing of the bill, Arroyo noted how the measure has stagnated in Congress since 2016 when the bill was first filed (initially by Alvarez and Castro, current version is by Tarlac Rep. Victor Yap), why did she suddenly decide to prioritize the progress of this bill all of a sudden? The indignation felt by the public regarding this proposal is massive, almost enough to distract them from any other issue. One theory roaming the political grapevine is that the timing of this bill’s passage is to steal public attention from other issues that have arisen or will emerge while this controversy is still brewing. These are mere speculations, but judging by the demeanor of the pro-Administration legislators – from House Speaker Arroyo, the Supermajority in the House to President Duterte, himself – there does not seem to be a lot of appetite to champion this bill. The principal author, Rep. Yap, has been largely silent on this legislation himself. Where exactly does the impetus to forward this legislative agenda, at this exact time, stem from?